Despite investor caution and low success rates recently posted by other auction houses, Allsop Residential’s latest auction achieved a respectable success rate of 75%, selling 202 lots at a total of £67.4 million with an average lot size of £248,000. Those results were achieved on the back of one of Allsop’s largest catalogues, keeping the auction room busy for eight hours without a break. Some of the more notable sales on the day included: a 0.33 hectare site in Elstree with planning permission for a detached eight bedroom house sold for £2.06 million; a detached building in Bromsgrove providing 14 flats (12 let), ten garages and an annual income of almost £70,000 sold for £972,500; and a corner building in Fulham, London SW6, with planning permission to provide four self-contained flats raised £1.535 million. 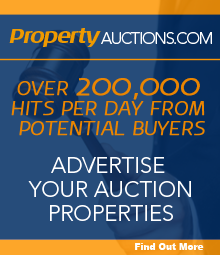 Entries are now being taken for Allsop Residential’s next auction and should be submitted by 22 June. The auction itself will take place at the InterContinental London Park Lane, One Hamilton Place, London W1J 7QY on Thursday 19 July.